Hello! My name is Cenk (Jenk). I am an author, blogger, photographer, and food stylist based in İstanbul. In 2006, I started this blog to share my kitchen adventures with friends and it got bigger than I could have ever imagined. I made some wonderful friends along the way and look forward to many more. My cooking adventure began during college, far away from home and my mother’s delicious food, where I shared a single portable electric burner with dozens of dormmates. It was mostly pasta or omlettes, but I managed to survive. After graduating from college, I moved to San Francisco and that’s where the adventure really did begin. My first day in the city was nothing but trouble (read more about it here). But as the months passed by, I started loving the foggy weather, discovered friendly coffee shops and delicious restaurants and made wonderful friends, all of which gave me a reason to take root in the amazing SF. Then I drove along Highway 1, spent amazing weekends at the Big Sur and Carmel and started calling California my second home. One day, I found myself running to the bus stop after work and decided that it was time to move back. I loved the people I worked with, but hated my job – try cold-calling 100 technology editors back to back, explaining how ground-breaking your client’s broadband signal processors are while they’re eating lunch and you’ll understand what I mean. I moved back to Turkey in 2003 and not a single day has passed without missing San Francisco and my friends. I miss the city so much, I still cruise Craigslist rentals in the Marina and watch my old neighborhood from the Exploratorium’s roof cam daily (update: Sadly, the roof cam moved to Pier 15). My blog turns 4. I decide to become a full-time blogger. Mom is finally on board. I ditched the corporate world in 2010 and began work on my first cookbook. 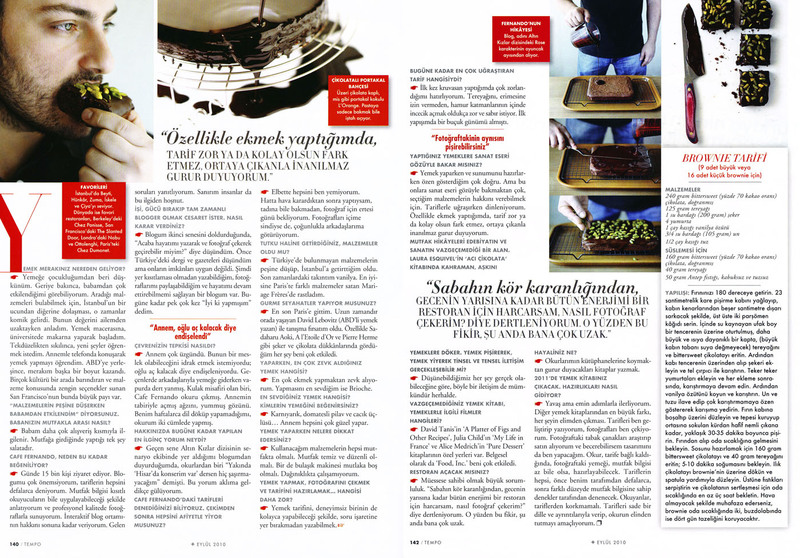 “Cafe Fernando – Bir pasta yaptım, yanağını dayar uyursun”, published in June 2014, became the bestselling cookbook in Turkish history and was awarded Best in the World – First place at the 2015 Gourmand World Cookbook Awards and Best of the Best – First place among the first-place winners of the last 20 years at the Gourmand World Cookbook Awards. 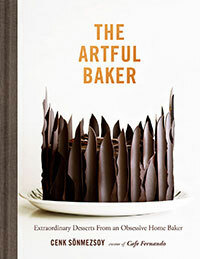 The English-language version of my book, “THE ARTFUL BAKER: Extraordinary Recipes From an Obsessive Home Baker”, was published by Abrams on October 17, 2017. In case you’re wondering “Why Cafe Fernando?”, here’s the short explanation: I am a huge fan of The Golden Girls, and my blog is named after Rose Nylund’s one-eyed teddy bear, Fernando. You can read more about my obsession with The Golden Girls here. You can contact me at sonmce@gmail.com or follow me on Instagram, Facebook, Pinterest & Twitter. And in case you’d like to hire me, you can take a look at my portfolio here. Wow! Blogging in Turkey. Funny how I keep finding people all over the world who have fallen in love with San Francisco…Turkish food is very good though…you shouldn’t complain too much. Wow Cenk! Who knew?! I had never seen this side of you before, and I thought I loved what I knew about you before…now I’m in awe! Great job with everything! I’m addicted to your site! Hey Nicole. Now you made me homesick! I hope you have a great time in SF! Eat at The Slanted Door (www.slanteddoor.com) for me. I was following the links through a website that I am very fond of, and saw this one and simply loved it. Not only the beautiful pictures but also the way you describe it made me love your site instantly. Great job! amazing in every sense of the term. i found your photos on flickr, and discovered your blog and boy am i impressed! please continue posting and photographing delights! I am definitely bookmarking this page. Thank you. There is a bread I need the recipe for. It is called Lapinja in Serbo-Croatian, but some also call it Bosnian bread and others say it is Somen. Do you know this thin chewy wonderful bread. It is not pita/peda. Also there is a little machine in Bosnia that my son-in-law, Sejo talks of that makes the cevaps/cevapcici. Have you this in Turkey? BTW We live 25 miles east of SF in Alamo. We have visited Turkey many years ago and enjoyed the cuisine very much! Hi Mary-Anne – Unfortunately I have never heard of Lapinja or cevaps/cevapcici. Sorry.. Glad to hear that you enjoyed our cuisine. I will try to add more Turkish recipes in my blog, so keep an eye. I was on Selin’s blog, and just felt clicking your name, wondering why a man leaves comment on ‘pirasa’ (you guys usually do not like it) and just loved your pictures. P.S. S.F. is also my favorite city. As I consider myself amongst a few who were privileged to taste your early works of menemen and pasta, I miss your cooking and your company. I’m putting yours in my favorites! Congratulations!!! I’ve just seen your blog and I must tell u that your recipes are great..I’ll try some of them then I’ll write my comments promised, but I’m sure they are soo delicious…By the way your blog is loooking really nice. Good job! Recently you updated your banner, and it is really beautiful. I love the beautiful dark blue sparkling with pinks, yellows, and reds. A beautiful design feature, Cenk. Thank you Shaun! Actually, it is a painting by a very famous Turkish painter called Mustafa Pilevneli. I morphed the painting into a horizontal banner – with his permission of course. The website is in Turkish but you can still navigate through his paintings. Hersey cok ama cok guzel basarilarin devami dilegi ile ben de 1 ay a kadar yurtdısına cıkacagim.Artik ordan takip ederim. My daughter is off to university for her 3rd year. The difference this year is that she transfered to Vancouver to take Food Sciences because they no longer offer what she needs here…so she will be living in the dorms. You would probably have many stories to tell of your culinary days at university. She has a toaster oven, a crock pot, a kettle and a coffee maker for her room. She will have to get creative!!!! Hi Valli – Since she is studying Food Sciences,I am sure she will be quite OK! She shoul start a blog and tell us all about her cooking adventures. I just got trough all your posts youhave a great blog,the food are just eye-candy! love the dog Ralph! 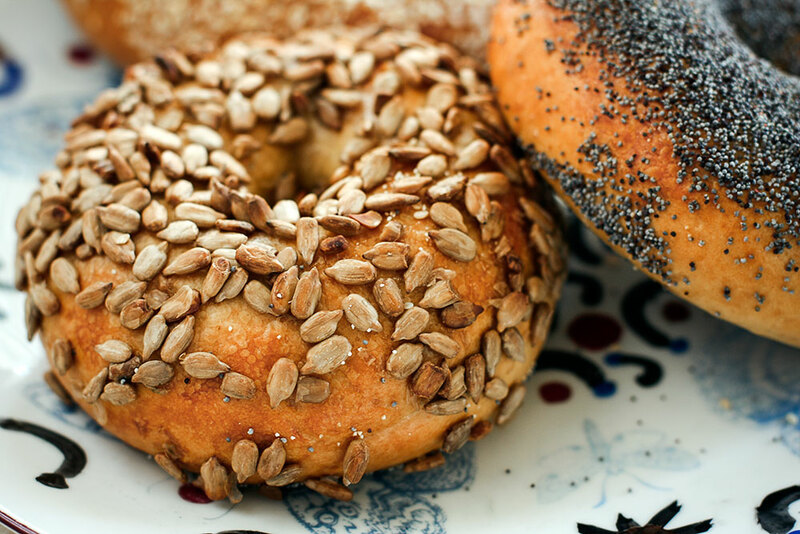 Love the blog, love the recipes (am working up the gumption to test drive your brioche)… Keep it happening Fernando. daniesza – We’ll be more than happy. Thank you for your comment! 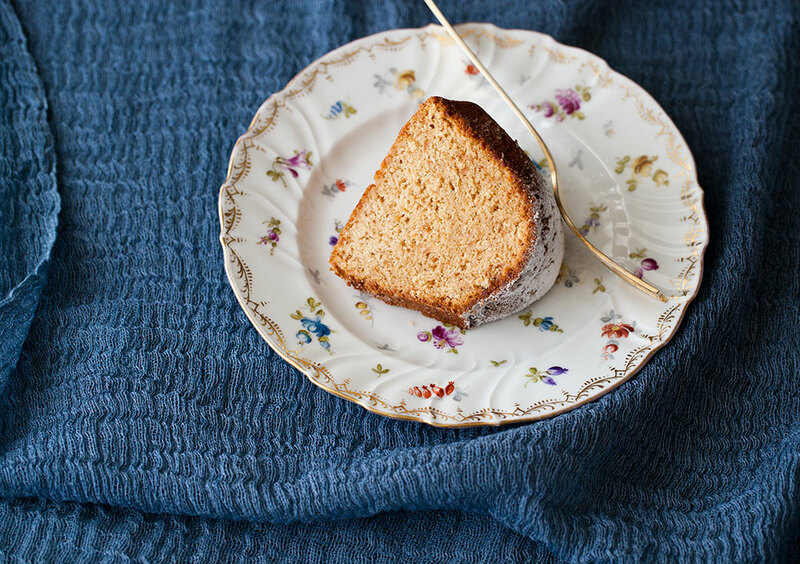 your aprticot brioche on tastespotting caught my eye! yum. Thank you Lana. I hope you like it! Love the blog, love the recipes and adore the dog! I just stumbled upon it and I ‘m so glad I did…you are doing a great job! Thanks for sharing. Hello again! I made my first comment on your best ever chocolate cupcakes and here I am again to make another comment . . this time about your blog. One word to describe it . . . I love it! The recipes, the pictures and everything else about your blog. I will definitely visit your website soon and often. If you don’t mind, I’d like to have your blog site as one of my favorites. Take care, and keep up the nice work! Ciao . . .
Wishing you the best in everything! Bu siteyi tesadufen gullac tarifi ararken buldum. Gozlerim yerinden cikti.. Gercekten cok guzel.. Tebrik ederim. Takip edecegim. I love your website SO much. I’m mesmerized by Turkey now and am actually planning a trip to Istanbul in late-January. I was wondering what the weather is like over there though at that time. Can you please advise? Keep up the great work! Thank you so much. hey there, i just discovered your blog by accident..im totally smitten..hard to believe that’s a “guy” behind this amazing food blog!! you seem like a real cordon bleu chef!! Thank you very much for this absolute treat of a blog. I just moved to Istanbul from Paris. I have lived all over the place (Madrid, New York, Paris, Lausanne) and now Istanbul. This is the best gastronomy blog I have ever read ;-). It’s wonderfully hedonistic (in a delightful, charming and generous manner). Thank You. Was a real pleasure viewing not only the many fantastic creations but the responses from appreciative surfers. I am a retired NewYorker living permanently in a suburb of Istanbul. Being married to a great Turkish cook I am eagerly awaiting her experimentation from your great site. Perhaps she will share some of her secrets with you. One question does anyone know where to get crÃ¨me chantilly – schlagsahne -light whipping cream?? WOW! you are awesome! I thought you are a cook at first. I love your blog. I am learning from your great recipes a lot. Thank you very much. And please keep up the good work. This photo is so beautiful. just found your site. it’s great. i’m also ex-sf from university days, we were probably there the same time in fact (was it so long ago?!) i still cruise craiglist rentals too, lol, maybe one day… thanks for the great recipes! I enjoy looking through your links especially when it is related to something in Turkey! Like Pukka – Lvng guide to Ist. Thank you! Until last week my main association with Turkey was Orhan Pamuk, now it’s you :). I came across your blog last week and have practically learned it by heart by now 🙂 It’s awsome! Thank you for the recipes! Margarita – Thanks for the nicest comment. Glad to hear you enjoyed the posts! 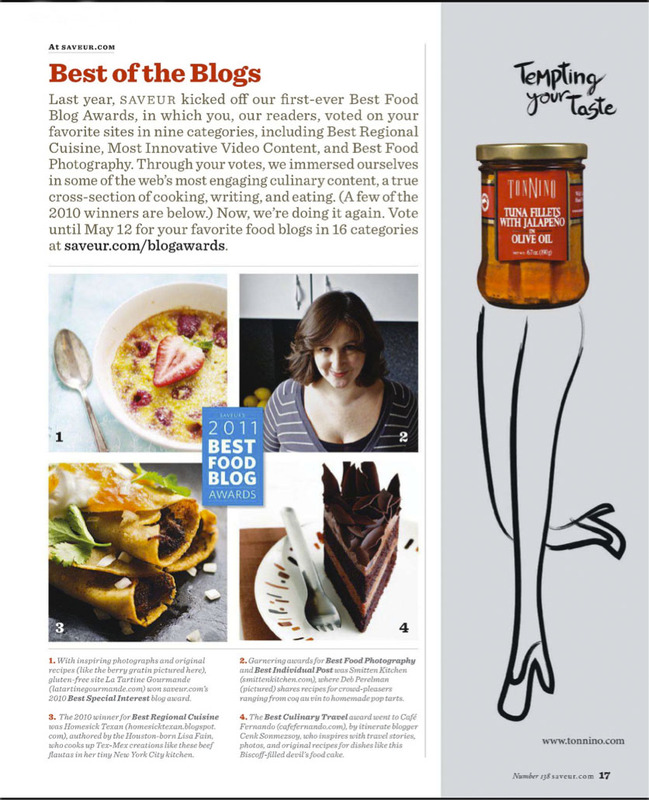 Needless to say, as a foodie, I enjoy the blog very, very much – though I don’t cook much at all! Just looking at the lovely photos is good enough. And of course, I adore the Istanbul posts though they fill me with a weird sense of complete yearning and homesickness for the city and its gorgeous food. So, thank you! Szerelem – Thank you! Glad to hear you liked the posts. Come summer, there will be more İstanbul posts. Hope you enjoy them, too! I loved reading your blog as of late. 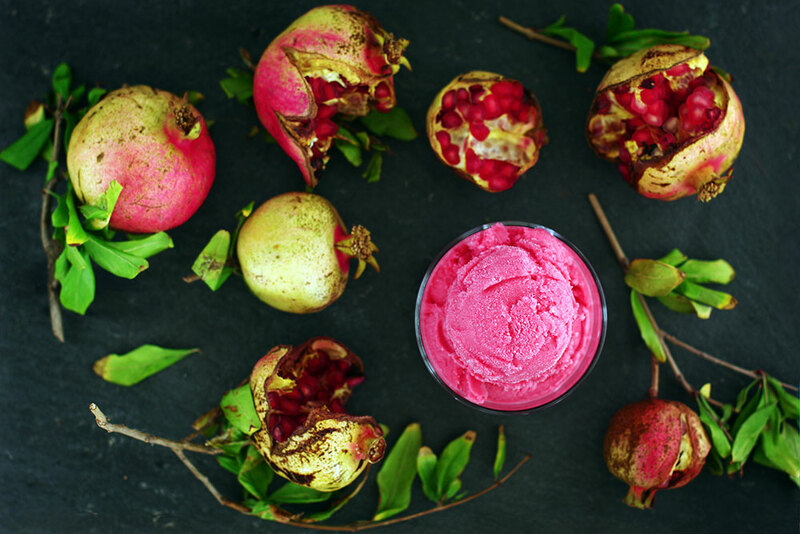 Great looking food and photos. I’m excited to move next month to a place with more than 2 feet of counter-space. I’ll be taking a crack at some of these recipes. Is it possible for you to put up also video or clips of your field trips- say for example of the market? I will try out your recipes and let you know the outcome.. LOL. Thank you for a wonderful blog! You have a great blog! I cannot remember how I came upon it but I have permanently linked to you so I can always drop by whenever I want. Cheers! What a wonderful blog, well done!! I was browsing the net for some Turkish recipes and I found your blog which is really really great. I am French married to a Turk and we live in Artvin (…. a little far awy from Istanbul but …. 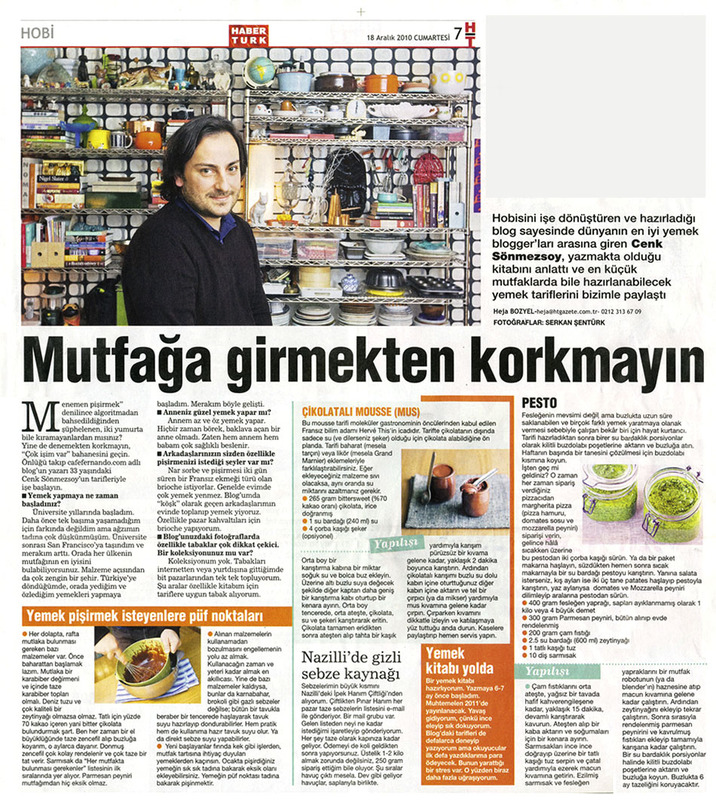 ).I am slowly learning about Turkish cooking and experimenting but here there are two ingredients that I have never come accross in France and that is ‘Malhep’ and ‘Keten’ (flax seeds in English I think). Do you have any suggestions / informations how I can use these in cooking? Thank you so much and I am looking forward to visiting your blog regularly now. Thank you for the recipe, btw. Excellent! Simply from having a hobby for cooking, borne out of necessity, you have landed yourself in the SF Chronicle, Washington Post, and NY Times. You must be so proud of yourself. Your blog always puts a smile on my face and a (loud, persistent) growl in my tummy. One too many diets have been broken after viewing your recipes. I look forward to visiting your site (and cursing the day i found it) for many years to come. But if I ever find you…i will have no choice but to kill you! Ekin – Thank you! Yes, I am very proud. Even more proud when I read comments like this. After stumbling upon your beautiful blog, I have spent half my day engrossed in you wonderful stories, amazing photography and mouth-watering recipes. As an Aussie girl currently residing in Portugal, I can empathize with your moments of homesickness. In Portugal they have a great term for it: “saudades”, which actually doesn’t have a literal translation in English but is something along the lines of an intense and deeply experienced longing. Enough of me prattling on, just wanted to say thank you for absolutely making my day. Certainly cheered me out of a slump. Erin – I am so happy to hear that you enjoyed my posts. Thank you for stopping by. Also, thanks for the info on saudades, it is fun learning a word with such an important meaning. I’m pretty sure I’ll never forget it. I’ve spent some time in Istanbul and as a food enthusiast I’m always on the hunt for those hidden gems of the city. Stumbled upon your blog today and I must say, stunning images! Coupled with those tongue in cheek write ups, I’ll be a regular follower. Z – Thanks! Glad you liked my blog. Leesa – Thank you. I am planning to add more Turkish recipes in the future, so stay tuned. By the way, fellow blogger Alan of Eating Out Loud has been cooking Turkish food all week long. Have a look at his blog here. His photos and recipes make me drool. I was hoping you can help me figure out what kind of flat bread I’ve been looking for. I had some great Middle Eastern/Mediterranean takeout the other day…and the chewy flat bread was the best part. There’s no big pocket (I don’t know if pitas have to have pockets in order to be considered pitas), but there are a lot of air bubbles. It’s pretty thin, but not as thin as lavash. It seems to be cooked on a baking stone rather than fried on both side, as the bottom is brown while the top has collapsed blisters, kind of like a pizza. It looks like small holes were punched all over in order to prevent too much blistering. It wasn’t crispy at all on the outside, but relatively soft (but maybe because it was delivered and we hadn’t eaten it right away from the oven? ), and it’s super chewy. It does smell like pizza crust, and it seems to have been made with all white flour. (I have a wedge of it in front of me right now, which is why I can describe it so well). Oh, but if I do pull at the bread, the sides will pull apart pretty cleanly and easily. We had it with chicken and beef, which looked to have been cooked on skewers. The flavors weren’t too strong, but the chicken was more flavorful and had a yellow coloring to them, maybe turmeric? It also came with tzatziki I think, or some kind of yogurt sauce. We also had roasted tomatoes and white rice – if that helps at all. Oh, and it also came with diced tomatoes and cucumbers with parsley in probably lemon juice and olive oil. Sorry this post is so long! But I really love this bread, whatever it is, and I couldn’t really find anything on the internet. I MUST bake some of my own! I hope you can help me!!! Thank you!!! Jean – Did it look something like this? If so, it is called Ramazan pidesi. Here’s the link to Binnur’s recipe. I have never tried baking it at home. That could be it! I’ll have to try it out as soon as I can. Thanks! Great site, the food looks delicious. I discovered your blog from Rasa Malaysia and glad that I did. I’m going to put a link to your site on my very plain blog if you don’t mind. Thanks! Hi Cenk! Wonderful site! I’m so happy I’ve found it. I am a yabanci living in Antalya for a year (already!) and stragling a bit with finding my way in the kitchen with many delicious fresh foods and lots of ingredients that I miss from abroad and seem to be at a loss without. To know that there is someone living in Turkey and cooking/baking Turkish but also more familiar food is a great relief! I will be trying out your recipes and letting you know how I do along the way! Thanks! I just discovered your blog through the DMBLGIT contest. It’s got some great stuff and I like its name — Plus you’re cute too. 😉 I’ll be adding a link to Cafe Fernando on my food blog. Good luck with ALL. I’ll go through my September photos and sumbit something to DMBLGIT soon. Thank you very much. I was wondering if anyone figured out where we can find those dolma makers? what is really a turkish kind of food? something that you can say it’s from Turkey. How someone which sees world so colourful and beautiful can have so much pain and sadness in eyes.. Don’t keep so many questions in head and let yourself to be smiled like your photos and people who can watch them:)). Many happiness, thanks for such nice place like here. 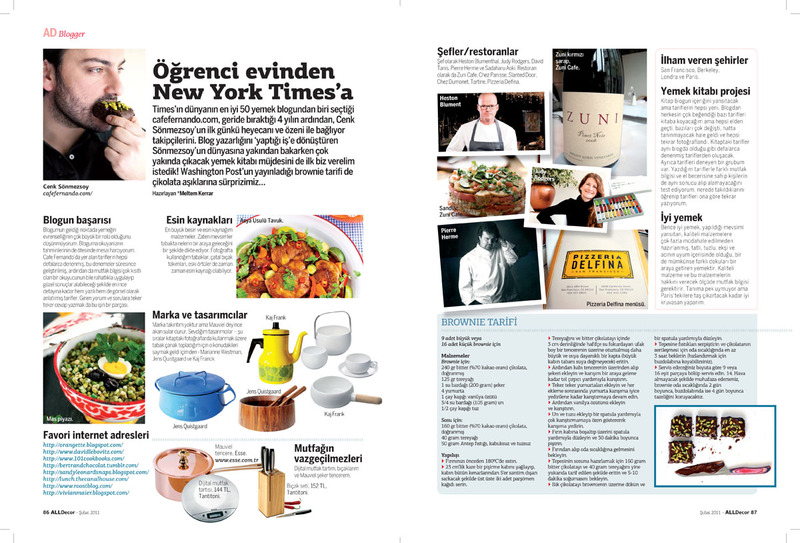 Marta – Hope you like the recipes. Thank you. Jake M – The list is too long, but here’s a start. CornFlower – It was actually taken after long hours of baking. I wasn’t sad at all, just tired but I see what you mean. I should definitely have a more energetic photo taken. Will do so soon. Many thanks for your lovely words. I love your Tuxedo strawberry and wondered if we could use the image on a mail out that we are doing please? We organise conferences and events and sometimes get asked for Turkey! came across your blog from another food blog. enjoyed browsing through each recipe. i (too) love to cook (and bake) and hopefully, i can try some of your recipes. Como tu web lleva nombre español, me dirijo a ti en este idioma. Llegué aquí por casualidad a través de un blog: “El tiempo de la marmota”. Me gusta la gastronomía y el mundo de la fotografía que he visto bien reflejado en tu web, por lo que te visitaré de vez en cuando si no te importa. Creo que pronto cumpliré el sueño de ir a Estambul, puedo preguntarte cosas de allí? Cenk, this is mind-boggling. 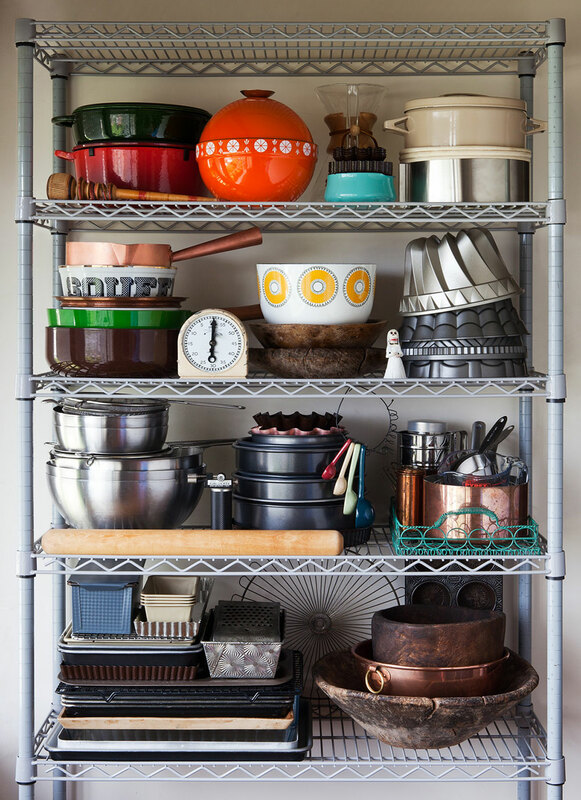 I will be downloading your recipes and trying them out in my tiny NY kitchen. Congratulations on a beautiful, informative site that makes me want to cuddle my silpats and run out to buy the Golden Girls DVDs at the same time. I love your site, in fact my link is called “As closest to Turkey as I can get”, I love Golden Girls too, I am going to be a goldgirl myself. I so enjoy reading your articles. Visit my sometime, how about an ingredient exchange? Cenk, you resemble an Indian film star – Saif Ali Khan Pataudi! 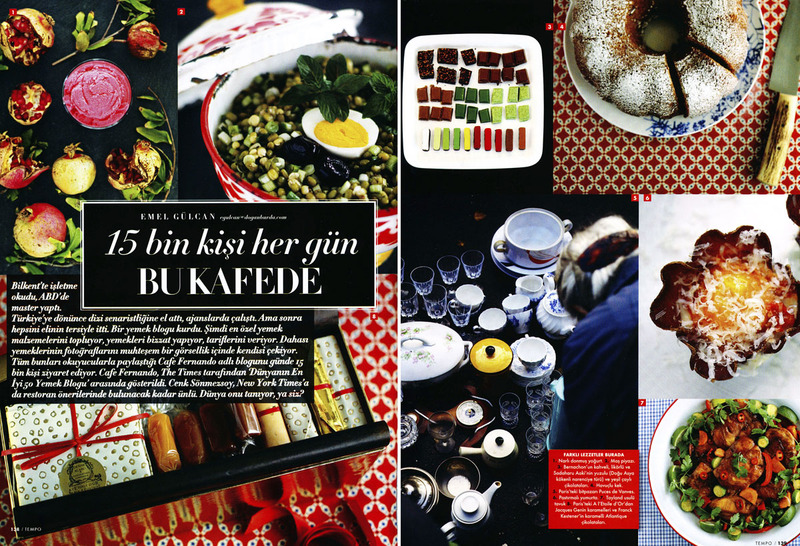 your food is gorgeous… nice to see you bring out your country’s culinary traditions… I’d love to Visit turkey someday! Would also love to see you share the relevance of the recipes – like how it is traditionally eaten, any religious / festive significance etc.. ancient cultures rarely have food standalone, there is always a significance – be it religious, ceremonial, seasonal, medicinal, etc & that is what makes food so interesting! Nice blog, i like it. But i just wondered why you choose to name it cafefernando? 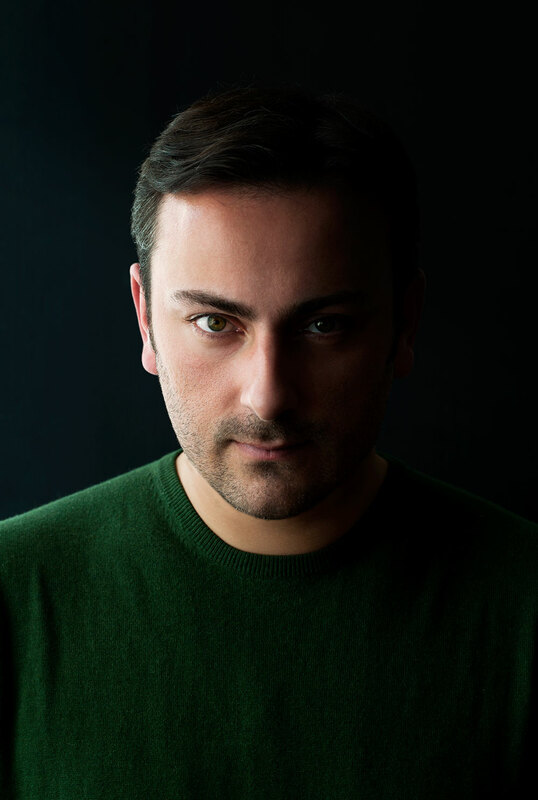 Mehmet – Thanks. I named it after Rose Nylund’s (from The Golden Girls) one-eyed teddy bear. I am a big fan of the show. You can read more about it here or here (second link in Turkish). Hey! I’ve been a follower of your blog for a long time. I’m from Canada have a degree in communications/advertising and am pursuing and education in culinary arts after working in Graphic Design (which I still love). I’m young and ambitious, from Canada and in Istanbul next week. I would LOVE to meet up with you when Im in the city. Maybe you could show me around a little bit. I think your blog is lovely and would love to have you as a guide to the city. Britt – Thanks for your comment. Unfortunately, I am swamped with projects and do not have time to meet up, but I’ll send you a list of my favorite restaurants via email. Hope you have a wonderful time. Hi Cenk, will you tell us something about the gear you are using for these amazing shots?? 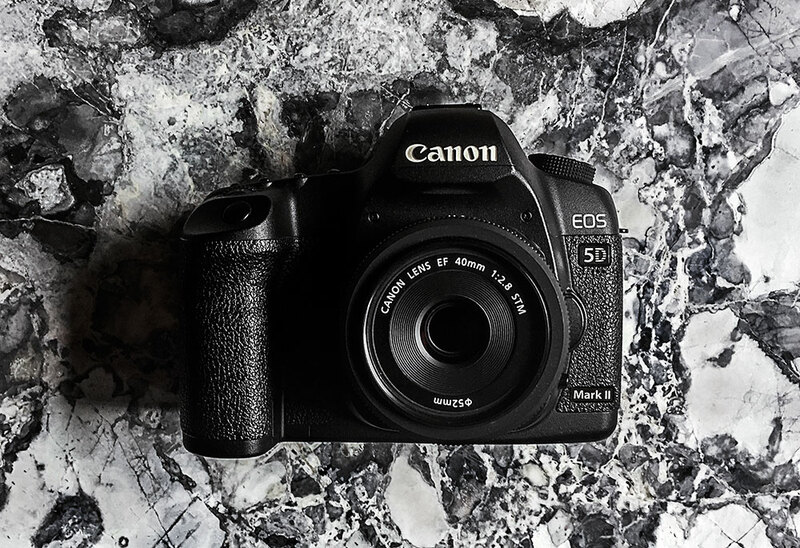 Mrs Ergül – I use a Canon 5D mark 2. My favorite lens for food photography is 50mm f1.4. Dear Cenk, I really like your bolg, loved the dolma gadget, where can I find it online ? since Dolma is my one and only meal ! 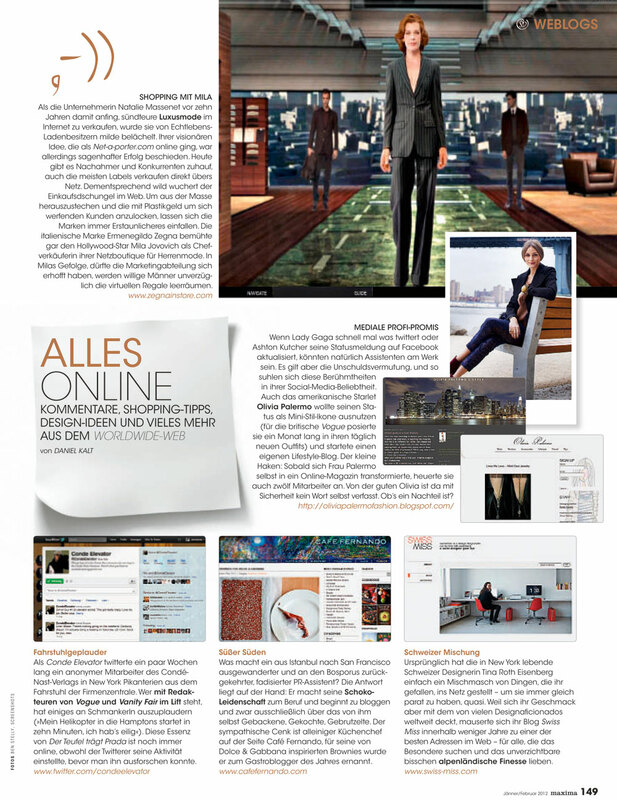 Hela – Thanks! Unfortunately, I haven’t seen the machine online. You have to visit Istanbul to buy one. I like the pictures of food you have on your blog. I’ve always wanted to see Turkey. I don’t know you, but am wondering if you know of anyone (female) who may be interested in flying from San Francisco into Istanbul to take in the beautiful sights of Turkey in an easy-going budget tour, and of course, at the same enjoy the food there in summer (sometime during June through Aug). By the way, is it safe to travel on our own in Turkey? I believe it is. Just want to hear what you have to say. LC – I don’t know of anyone, but someone might read this comment reply back… And if not, don’t worry – it is safe to travel on your own to Turkey. HI, I hope you can help me. I am brazilian and I have been living in Istambul for 3 months and I am trying to find a single store that sells condensad milk and heavy cream. Could you please help me? Hi Cenk, As a lover of food and my own photos I thought you would like to know that someone has portrayed one of your copyrighted images as their own: here’s the link. http://allrecipes.com/Cook/Photo.aspx?photoID=383255. Do with the info what you wish. The good news is that they led me to your site and I’ll be back when I have more time. Daha evvel yorum yazmistim buraya ancak daha sonra ablam Sezgi ile konusuyorduk, megerse sen bizim lisedenmissin ve ben tanimamisim yorum yazarken. 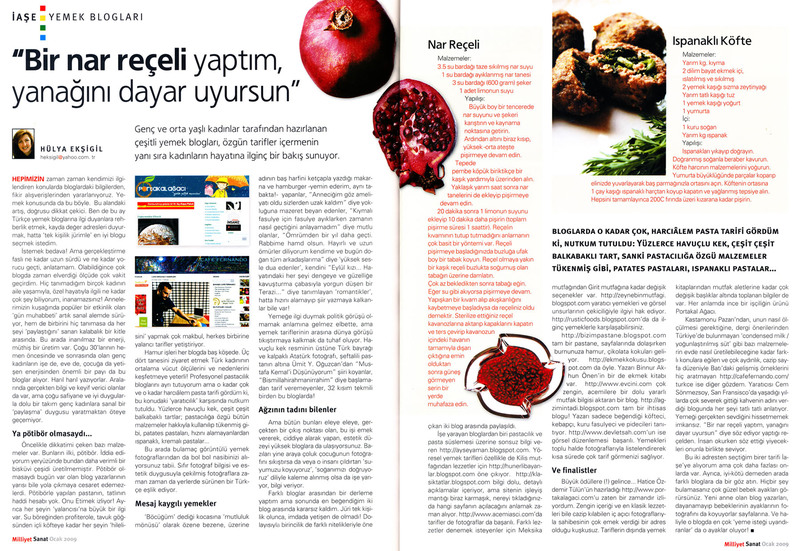 Sonradan resminden hatirladim, yaslilik iste 😛 Neyse tekrardan tebrik ediyorum ve acaba NPR’in “splendid table” ve/veya “good food” programlarini takip ediyor musun? Ben is yerinde podcastlarini dinliyorum cok zevkli, tabii aciktiriyor her seferinde ama senin blogu hatirlatiyorlar. Dinlemediysen siddetle tavsiye ederim. Buradaki ilgilenen arkadaslarima yonlendirdim blogunu. Basarilarinin devamini diliyorum. You rock! I love your blog and witty writing. And…..I share your obsession for the Golden Girls. I am pretty sure I’ve seen every single episode….I can’t get enough of Sophia. Thank you so much for creating this lovely space! Not sure if you can watch it in TR, but Betty White will host the SNL this weekend! I have found out your blog while i was reading Oray Egin’s article today. It is really exciting to see an old friend’s success. Maybe we should arrange a kind of re-uninon soon. Hi Cenk, I’ve been one of your readers for a long time, I don’t know over a year or maybe two 🙂 I’ve never read your “about” page but from your last post about the cookbook you’re working on I started to get curious. And I made a discovery, you are not a woman!! I started cracking up because I always pictured you as a slim dark-haired attractive woman 🙂 I was a bit wrong!!! Anyway, thanks for the picture of yourself, and the tidbit about your history. So excited for you on your adventure of writing a cookbook!! I hope to do the same one day, I’d also love to just take a few cooking classes! But I just gave birth to our sixth child and I’m a little busy at the time, some day!! Congratulations again, I’ve loved your recipes and the very talented photos you take, it’s very inspiring, I get ideas for cooking/blogging from your site, thanks!! As silly and stupid as I’m going to sound but I love your eyes! Ahem! I just stumbled upon your site and ofcourse goes without saying I’m so impressed! I was in Turkey for a vacation last month and ohhh I miss Istanbul so much. And Taskim square is like my all time favrite spot ever! Loved the food. I ll now start looking around for some Turkish recipes. There was this one place we ate at ANTIOCHIA in Beyoglu. I still dream about a roasted red and green bell pepper dip with walnuts and pomegrante molasses dressing I had there. Anyway you can provide me the recipe for it? I was googling to find a recipe and stumble upon your website. 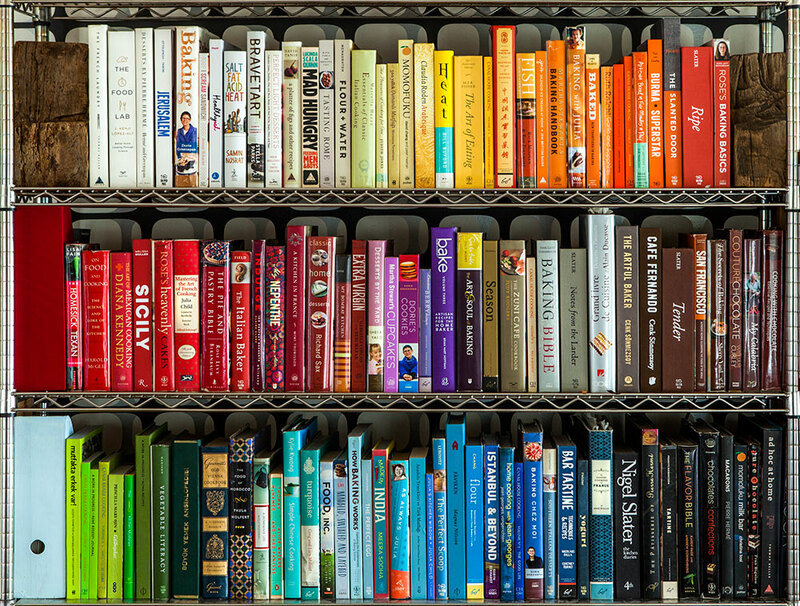 I was poking around to read your stories, recipes and your beautiful photos. Then I forgot what I was originally googling. I am also living in San Francisco now and in love with this city. A few years ago, I have been to Turkey for 3 weeks, mostly stayed in Istanbul and the Bodrum peninsula, and met many, many, amazing people. Everyone I met was genuine, giving, and caring. There are many places have beautiful mountains and water, but for me, it was the people in Turkey made my trip so special. I hope you all the best. Good luck with your cookbook. I’m going to try some of your recipes this weekend. Carmen – I am so happy to hear you’ve had a wonderful experience here in Turkey. Many thanks for your kind words. Hope you like the recipes! As an old San Franciscan who lives in Istanbul now I am still homesick and missing El Metate on Bryant and 22nd. I want to find a good Mexican in Istanbul, any recommendations? Yael – Thank you! Unfortunately, there aren’t any good Mexican restaurants in Istanbul. What an amazing blog, i just love your recipes, photography.And on top of that you are from Turkey- my dream destination. Really glad to have come across your blog. Till yesterday, Orhan Pamuk was the only person that came in my mind when i thought of Turkey, but now you will definitely be there. Keep doing what you are doing, always, please! We LOVE you. We LOVE the food photos on your site. And we LOVE the wonderful narratives that accompany the recipes. Lots of love comin’ at you. I really like your great kind of writing. i would like to know what type of camera you use to take pictures…. I love the artwork that is on the top banner on your blog! Is this by any specific artist? Connie – Yes, I did. 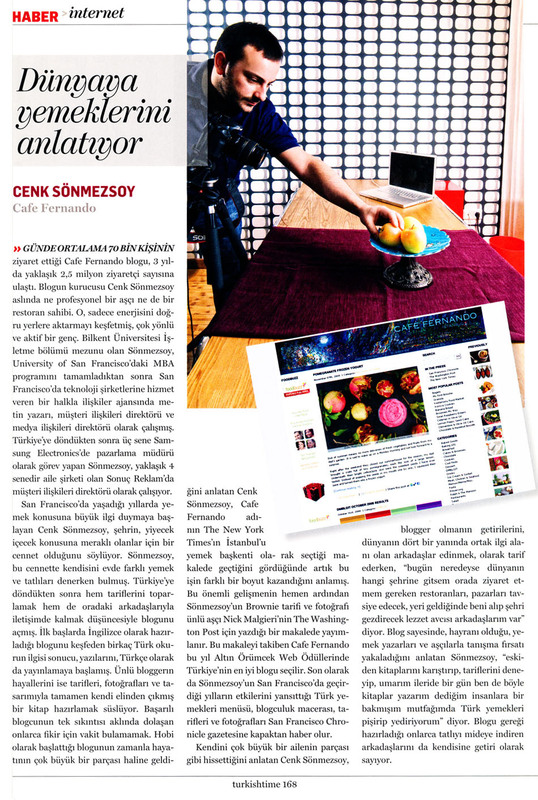 I took the current one for an interview that was published last month in a Turkish magazine. I just searched the painting you’re talking about (here) and was amazed to see how similar the composition is – you have a very good eye! I got to know your site through design*sponge. and I’m glad I did! I’m a writer from New York living here in beautiful Istanbul. I love the food scene here and especially your blog, which is rather mind-blowing. I’m wondering if you have any good suggestions for Indian spices/ food products. Are there many ethnic markets? Also, a hot tip told me that you can find condensed milk at the carrefour in Cihangir, if you’re still looking. John – Hello! Thanks for your kind words. For spices, I would suggest the Spice Market. Take a look at Martha Stewart’s video here (there’s a list on the right, third from the top was taken at the Spice Market). I don’t know of any ethnic markets, sorry (maybe this?). Thanks for the tip! The condensed milk is now available at every supermarket. The brand name is Markomilk. I was wandering in my garden the other day an noticed the grape vine leaves and thought they are young and would make some lovely dolmas, My son is married to a Turkish girl and her mum on a visit to me made some…Yum. I googled some recipes, and came across your site, and thought wow I had purchased one of those little dolma rollers when I was visiting Turkey, and have not used it yet. From there my attention was taken from one yummy recipe to the next, all looking quite doable for me. I’ve never commented on someones blog before, but your site is wonderful….congratulations please keep it going. Thank you Jan! Hope the dolmas turn out great. 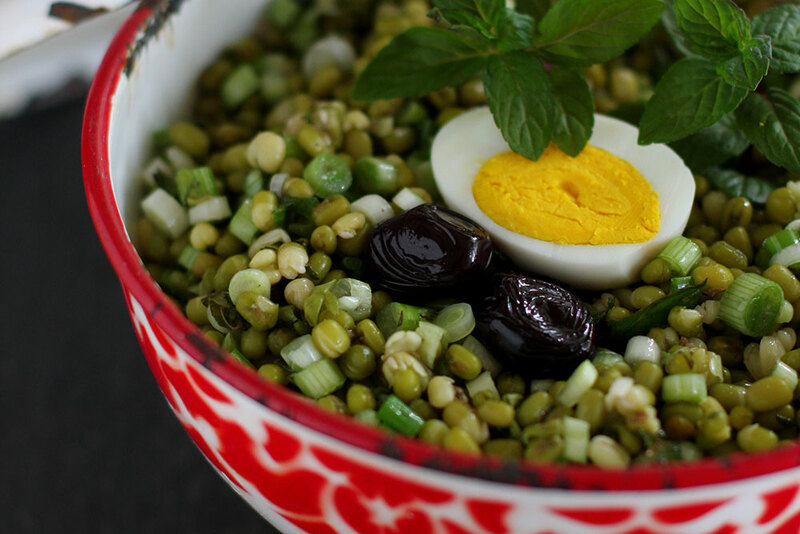 I was lpoking for a Thai place in Istanbul and I stumbled upon your blog – amazing job! 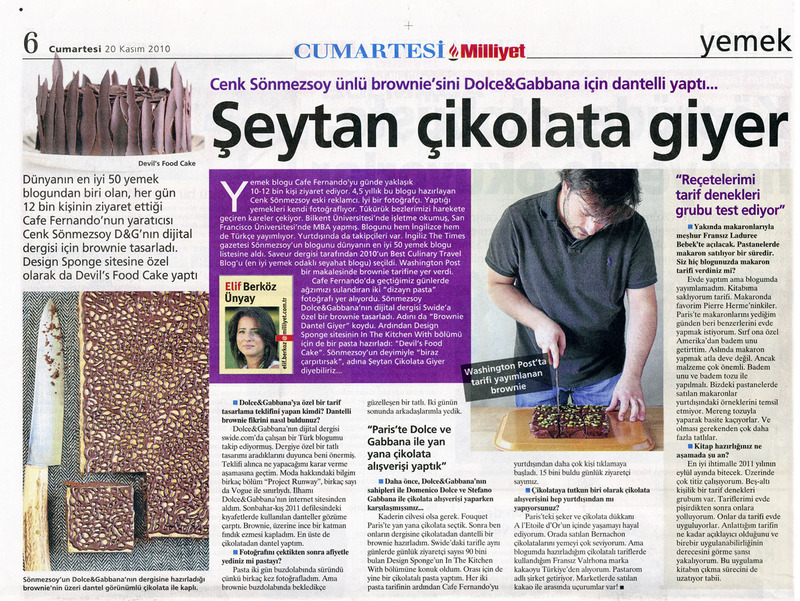 As a fellow Turk, I am glad to learn about food enthusiasts like yourself. Will definitely spread the word. So I made the Korova Cookies and OH MY GOD!!!! They are fantastic! Funny thing is I had first tried to make them from a recipe in a wonderful cookbook…Simple Soirees by Peggy Knickerbocker…but they just didn’t work. I knew something was wrong when I was making them, but every other recipe I’ve made in that book has been perfect, so I just kept going. Well…those cookies were NOT cookies, but they turned out to be the best ice cream topping ever invented. I loved the flavor so much that I started to research the recipe as Peggy said it was from a cookie by Pierre Herme and when I googled for info about it…your site came up and there was the Korova Cookies and the exact same recipe but for what must have been a typo in the book…1/4 cup of flour rather than the 1 1/4 cups needed to make these unbelievable chocolaty gems! I am excited to now be connected to your site too. I’m a food lover and cook who loves to experiment, cook for family and friends…and WITH family and friends! I am just browsing your blog. I read the part about missing SF. I also lived in the Bay Area, and moved to Canada 2 years ago, and I absolutely agree – I miss my friends there a lot. It’s a place with really nice people. And even the friends that I meet here in Vancouver end up moving to the Silicon Valley :-(. My boyfriend says that I need to start a new meetup group “Bay Area expats” :-). I just discovered your blog a couple of days ago, and it’s awesome! I am an expat as well (a Russian living in Washington, DC, with my French husband whose family is originally from Turkey, imagine the cultural mix in the family! ), so I really love the whole bilingual/bicultural ambiance of your blog. I have been to SF many times, and I LOVE LOVE LOVE it! It is definitely the best city in the world, and I can SOOO relate to your nostalgia. Your blog is amazing. Very professional, atmospheric photos, great recipes. So far I have tried only the mint lemonade (today), but I will definitely be trying some more. Thanks a lot, and good luck with your cookbook! I love your blog. I’m an LA native, but I lived in Turkey for two years. Now I’m back in the states, but part of me will always long for Turkey. (Much like you for San Francisco). If we didn’t have enough in common, I also love the Golden Girls. Keep up the good work and post some more Turkish inspired dishes so I can bring a little more of Turkey into my home! I’m still deeply tied to two of the best eating areas in the world! Lucky me! 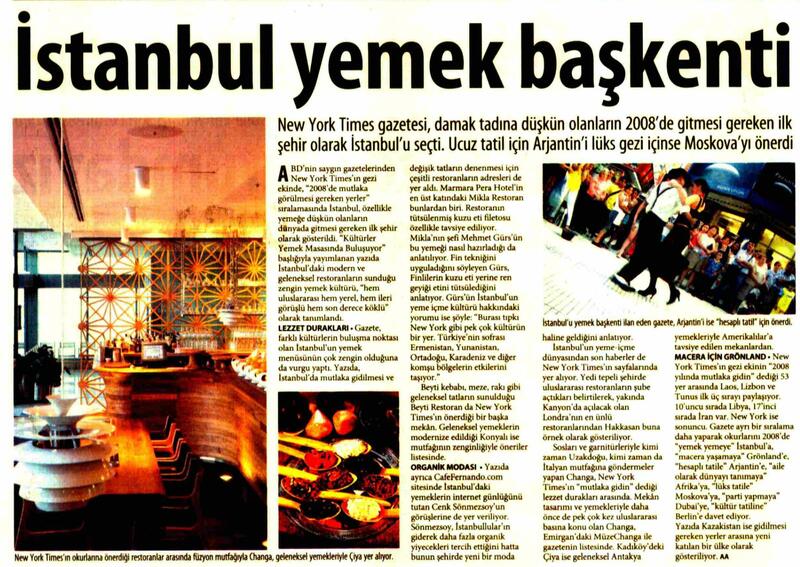 i came across your blog while cruising through the Istanbul food section of New York Times. I am a cook/chef from NYC. Currently on a year long sabbatical from the kitchen. i am scheduled to travel to Istanbul by the end of September/early october, even though the trip is only for a few days, i am looking to capture the sense of Turkish food and the role it plays in the deep rooted Turkish culture. Any help/advise you can offer will be appreciated. Hi Malvika – The list is too long; I’ll send you an email. I came back from Istanbul 2 days ago! Great work, your recipes sound amazing and can’t wait to try them out once my body clock recognises day/night again! Keep going with the traditional Turkish recipes, they are things we’ll always go back to – with a serving of apple tea on the side! Am coming to Istanbul in October, would be great to meet up get some tips and know the unmissable nooks and crannies of the city. Any suggestions for balik and raki with a great view?! I’ve been a regular on your food blog and I love it. I live in Bangalore, India and will spend a few days in Istanbul/Egirdir on holiday. Could you give me the names of your favourite baking/kitchen equipment stores in Istanbul? I am also looking to buy diastatic malt. Where can I find this in Istanbul? Plus other goodies to use in baking like edible flowers, sanding sugar etc. Sheila – I don’t have a favorite baking or kitchen equipment store in Istanbul, but I think you’ll find most of the things at Esse, which is for equipment only. For baking supplies, I’d recommend supermarkets (Migros, Macrocenter and Carrefour), Nüans and the Spice Bazaar. I’ve never come across diastatic malt in Istanbul. Hope you have a great time. Hello! I love your recipes, and was wondering if you have a recipe for lahmachun. Its my favourite turkish dish, and I would love to be able to make it at home. 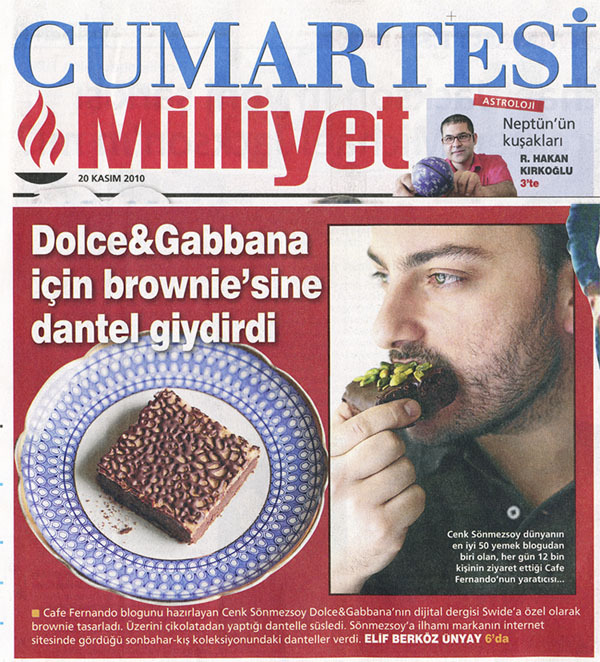 Though I will definately give the Dolce and Gabbana Brownies a go! Sarah – I don’t have a recipe for lahmacun, sorry. I’m in love with your blog and visit it everyday! Your pictures and writing style are a great combination – I got back from Istanbul 2 weeks ago and have already got a list of where to go next time 🙂 And I’ve already tried the D&G brownies (that lace is delicate but worth the trouble! ), the ice-cream is now a family favourite (it truly is the best ever icecream I’ve had and it was my first attempt) and the mousse turns out beautiful! 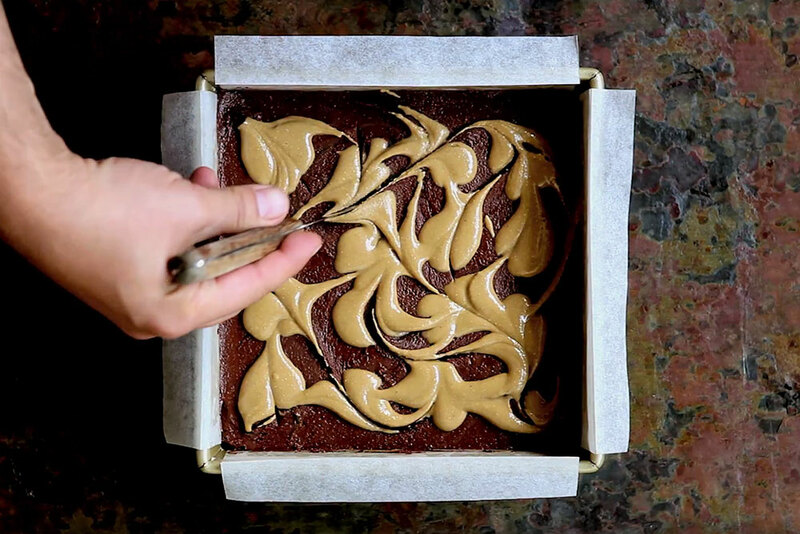 Zuhal – They’re supposed to spread during baking. which is near the Chora Church Museum. I’m traveling on a budget but I just love the menu I see on the Asitane website. As an Istanbullu, would you recommend it? Cheers. Sheila – I would recommend it. 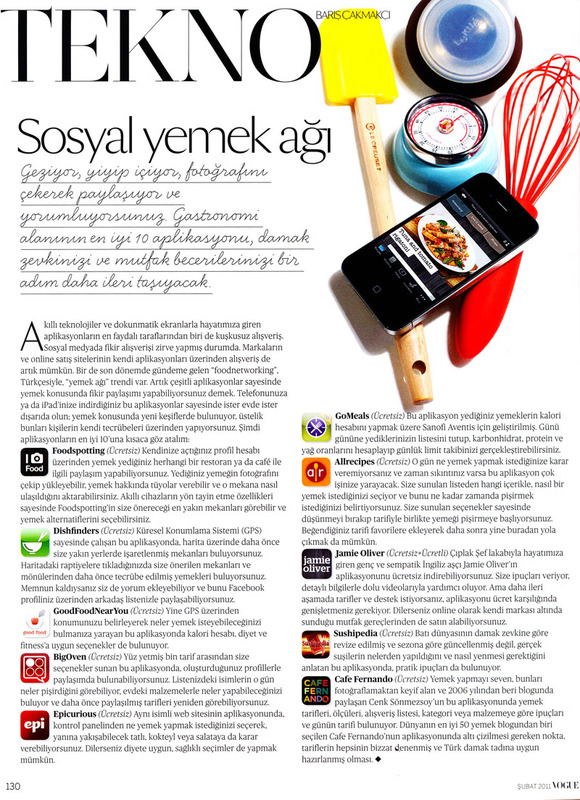 Take a look at Yeşim Yemni’s article here. Where can I find this store. An address? Directions? Pls pls. Istanbul is beautiful. I’m loving it. I know you must have heard this a million times, but you have an absolutely wonderful blog. Kudos! ooo you’re a man! that’s great. Greetz from Bulgaria! Still do the Stumble-Upon thing and share your recipes. Just want to make sure you’re O.K. after the earthquake. okuduğum en güzel “hakkımda” yazılarından biri. Cheers from across the bay. Wow… I totally understand the ‘homesickness’. I have the same problem. Wherever I am, I keep missing other places. I guess we just need to keep moving! Just discovered your blog–so beautiful! Your desserts are gorgeous! I love finding new dessert presentations and I just found so many on your blog–thank you! Doing research for an article I’m writing on Istanbul and food, I stumbled on your blog. How lucky! I love it! Many years ago I lived with a Turkish family in Istanbul as an exchange student. Last November I returned and reunited with some of my old friends and “family.” It was so wonderful. Do you know Aylin Oney Tan? She’s a food journalist and gave me and my friend Amy a fabulous tour of the Spice Bazaar and Kadikoy, and then we had the meal of a lifetime with her at Ciya. Anyway, I just wanted to say hi and thank you for your blog that brings back so many great memories. Also, would you be willing to help me with my articles if I need some information that I can’t find here? Hello! I stumbled upon your blog today and am really enjoying the great recipes and beautiful photos. However, your recipe for Sirloin Steak in Cafe de Paris Sauce has me on a wild search for the seasoning blend with no luck. Where can I find it? I have a fantastic source for all things spice at the Spice Merchant in Temecula, CA, but don’t see that they carry it. Can you tell me where I can order some…and, if not, can I have yours? (just kidding)I was in Paris recently and would love to recreate this recipe! Madeleine – I bought that spice mix at Globus in Geneva, Switzerland. Don’t know if they’ll ship it to the US, but here’s the online store. I don’t think they would ship here, but I checked out the site and can’t find that product mentioned anywhere. I kept having to translate to English, so I may have missed it, but I don’t think so. Alas, I am afraid I must do without…. Regardless, thank you and have a wonderful Valentine’s Day!!! I’m wondering if you might please contact me directly at the email address provided to speak about publishing the U.S. edition of your forthcoming cookbook? We are interested to know more and discuss it with you. I came to your blog via David Lebovitz’s blog. I am an NYC born American girl, with a Turkish father, who loves Istanbul and the cuisine but never learned to speak the language. San Francisco is also one of my favorite cities in the world. I am really looing forward to reading through your blog (I already want to try the rice pudding with lavender), and eagerly await your new posts. Hello Cenk, this is my first time here, i was just oggling at your no bake biscuit chocolate cake and got hooked. Love your pictures and your recipes! They are so innovative and written with so much of ease, makes me want to just jump and go do it right now, right here! also, You are from Istanbul!! How neat is that, i just got back from a two week vacation in Turkey, and needless to say, my beloved dog back home was the only, only reason i tore myself from staying there longer. I loved it! hope to stay in touch and follow your blog. Kajal – Thank you! I just took a look at your beautiful Istanbul photos and saw that you’ve had Kup Griye at Baylan. Wasn’t it fantastic? Hi Cenk, do you know of a good authentic recipe for Keskul? I had some really delicious creamy keskul from Sultans Kitchen in Boston and want to be able make them at home. So far my searches have only given watery not so creamy ones. Would love it if you could help me out. 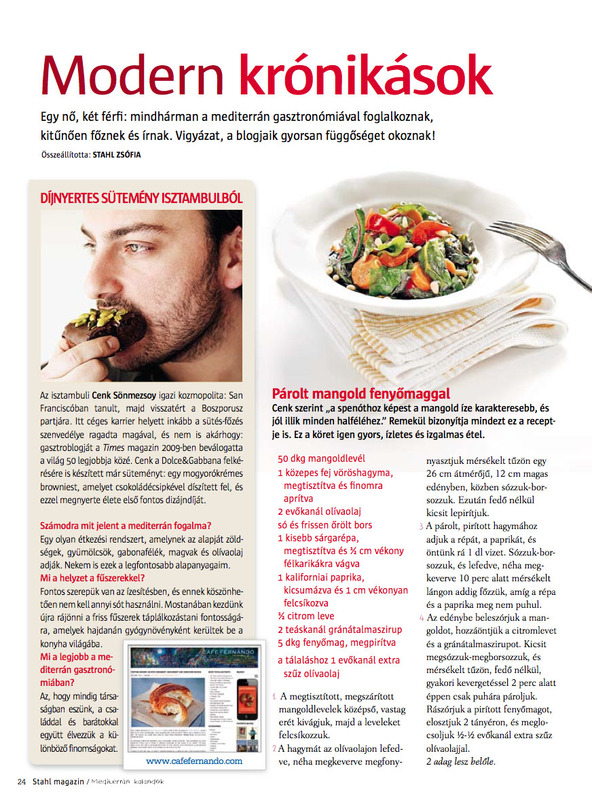 Zuhal – Actually, I am currently working on a recipe for the book. Unfortunately, I can not share it before the book is published. Think of almond-flavored creme patisserie, but looser – meaning less egg yolks. It should be creamy but not too thick. Start with raw almonds. Sprout them a day in advance. Take out skins. Place in a blender with milk and blend on high speed. Pass through a very fine sieve layered with cheesecloth and follow a trusted creme patisserie recipe with maybe 1 less egg yolk than specified. If the recipe states another thickener (like rice flour or cornstarch) use the same number of egg yolks and no thickener. Hope this is a good starting point for you. Hello! I have just stumbled onto this blog and am ecstatic at my discovery! I can’t wait to try out some of the recipes!!! Do you have a bakery in Istanbul or are you solely a blogger?? Emily – Thanks! No, I don’t have a bakery and will probably never have one. I’m a full-time blogger. Thank you Cenk.I had to come back and tell you – its turned out so nice. Sprouting them makes the keskul taste so much better. It could turn out a little thicker, but practice makes perfect. Can’t wait till your book comes out. Make it known I have the first Australian order! I’m working on the keskul and clam chowder soup. Missing the wharf and the bakery, not missing those massive seagulls though! Zuhal – Glad you enjoyed it! And thanks for the support. 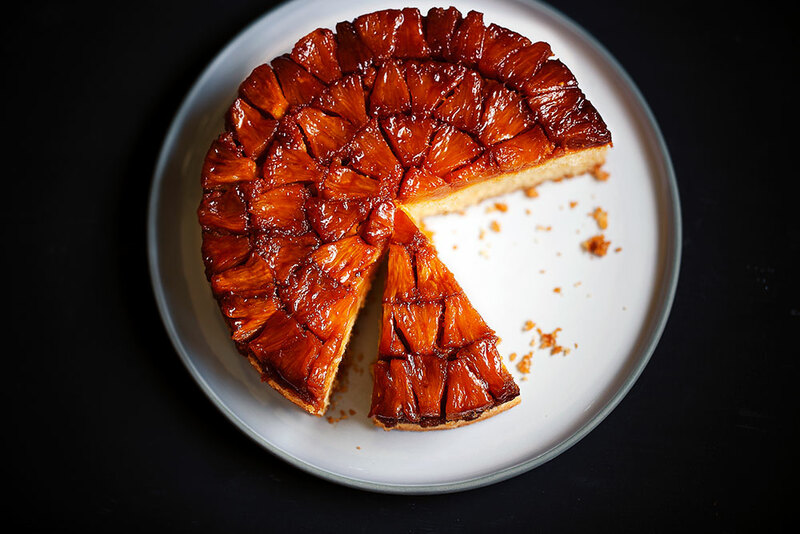 It’s a shame on me that I have just discovered your blog while I’m trying to find a peach tart recipe! I really loved your work and I’m proud of you. Hi Cenk. I really enjoy your blog: it’s a cool place to come back to, so I have nominated you for a One Lovely Blog Award. Uzun zamandır yazılarını takip eden ve insanlara karsı ne kadar nazik olduğunu bilen biri olarak senden bir yardım rica edeceğim. Ben Moskova’da yasıyorum ve burada yaşayan bir İtalyan arkadasın İstanbul’u ziyarete gelecek. Kendisi yemek konusuyla cok ilgilidir.dunyanın dört bir yaninda iyi yemek pesinde olan biri olarak Benim hazırlıklarım dısında henüz bir Turk yemeği yememiş….. Acaba zahmet olmazsa bana Avrupa yakasında onlara gururla sunabilecegim bir turk restoranı birde balık restoranı onerebilir mısın? Korkarım yemek konusunda herkese guvenemedigim icin bunu senden rica ediyorum . Benim icin gercekten önemli . Umarım cok rahatsızlık vermiyorumdur, anlayışına sığınıyorum. Derya – Elbette. Türk restoranı derken sanırım ev tipi Türk yemeklerinden bahsediyorsunuz. Karaköy Lokantası‘nı tavsiye ederim. Daha modern bir Türk mutfağı için ise Kantin (sadece öğlen yemeklerinde açık). Balık lokantası olarak da en sevdiklerim İskele ve Angel Blue. Thank you for that great blog, you’ve done an amazing job, I am willing to try most of these recipes here and send you some feedback!!!! I had to leave a note to say your site is fantastic, I really enjoy your voice and look forward to reading more and trying out your recipes. I have a friend who is Turkish and lives in San Francisco part time and the other part she guides adventures in Turkey. She shares her culinary skills as well and it’s always fun to try new things except both are too far from Washington state! Thanks for sharing. Adresinizi ve ofis telinizi rica edebilirmiyim. Ayşe Yorgancıoğlu – İlginize teşekkürler ama catering hizmeti vermiyorum. Another press mention for your list: Your blog has been featured in an article at mydiet.com. I thought you would want to know! Hi Cenk, What an amazing blog. I came across it when I was searching for the BEST fudge brownie recipe! Just like you, I am missing the US every single day…. I am constantly wandering around the streets of SF via Google maps :-). Tomorrow I will be in Istanbul for a couple of days. If you have any recommendations for good restaurants I will be grateful. Hatice – So sorry for responding so late. You still need recommendations? You have been quiet here, have you moved on to greater and bigger things? MERILENE – I’ve been very busy with my cookbook. Will be back soon. 😀 the blog seem to be quiet, hope all is good and your cook book came through well. My friend Carole Bidnick has been telling me about you and I cannot wait for the English version of your book. In the meantime, do you have a recipe for tarkana? the kind that hardens and you cut into diamond shapes? My mom used to make it and I cannot find a recipe anywhere!!! ani chamichian – Do you mean tarhana? I just found your blog and wanted to congratulate you for your nice recipes and photos!